At the 2014 Los Angeles Auto Show the Honda HR-V 2015, a distinct composition from the house of Honda made its debut. To those who are dipped in the automotive world, they might be well aware about the Honda Fit and the nationwide glory it has, but here with this new unveil for its fans. 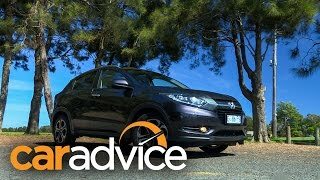 Let us have a look at the review of Honda HR-V 2015 to learn more about it. The interior of Honda HR-V 2015 can be called as a blend of CR-V and Fit with some styling features added to give some extra essence. Dashboard at the driver’s side doesn’t come with anything new as such but yes the passenger side; it has some commendable styling features. The center stack and console gets a new look while the gear shifter looks like holding its roots in the CR-V we recently saw. The interior around you is composition of hard plastic and smooth materials giving you luxurious feeling. The instrument cluster gets a bit of change through its illuminations, especially the one marching out through the speedometer; switching from white to green. 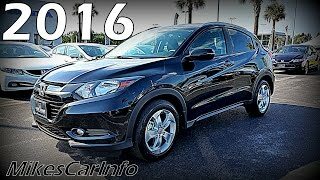 In all the exterior of Honda HR-V 2015 in spite of being a composite creation holds several features that make it unique, classy and comfortable. The exterior of Honda HR-V 2015 is very much like the sportier CR-V, which we believe is a plus point for it. 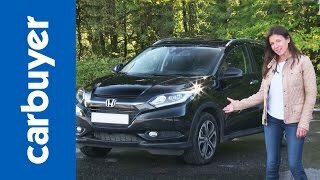 Starting with its front end, sloppy nose with large headlights looks very much like any racing car and makes the entrance of Honda HR-V 2015 remarkable and memorable. The roof is kind of coupe inspired and gives a touch of luxury to the model and gets further complemented with the muscular front fenders. Moving to the rear end you’ll notice looks of a sporty crossover. All across the bottom of Honda HR-V 2015 you’ll notice black outlining. 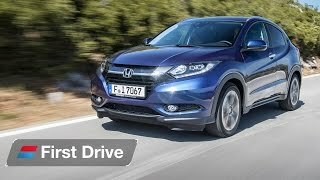 The Honda HR-V 2015 hides beneath its hood refined version of the 1.8 Liter four-cylinder engine generating total output of 138 hp and peak torque of 172 nm mated to either six-speed manual transmission or CVT with Honda’s ‘G-design’ shift logic. While the former is for the two wheel drive models the latter accompanies the all wheel drive variants.